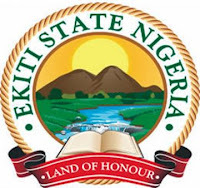 Aramoko-Ekiti in the Ekiti West Local Government Area, Ekiti State was a theatre of disaster today (07/07/2012) Thursday, July 5 morning when a mother of four was beheaded on the farm in the town. of her husband, Mr. Nnaefenwa Lucky, around 9:3am. The incident was believed to have happened when the woman was taking food to her husband who was working on the farm. Chief Samuel Okorefe, the chairman, Urhobo Community in Aramoko-Ekiti, told newsmen at his residence at the Amututu area of the town that he was contacted on the phone that a serious incident had happened which forced him to come home. He explained that the victim was said to have gone to the market in the morning to buy condiments to prepare soup and after she had cooked food, she headed for her husband’s farm to give him food. Shortly after Bose had gone to the farm, her husband was said to have come to town calling for help, informing other Urhobo natives that his wife had been beheaded by some unknown people suspected to be ritualists. Alara of Aramoko, Oba Olu Adeyemi, and reported the matter.They informed the police and a team of policemen drove to the scene of the incident and removed the remains of the victim. The cops were shocked to discover that the head, neck and arms had been cut off. The husband was taken to the police station where he made a statement.